Over the last few years much of the IPTA's human and financial resources were dedicated to achieving direct access. With new laws now in place, the IPTA will be able to devote more resources to other issues impacting practice in Illinois. Fair and adequate payment for physical therapy services, along with ensuring that those services are delivered by qualified providers, are primary objectives for 2019. Addressing delays in payment from Blue Cross Blue Shield of Illinois tops that list, with the combined efforts of the IPTA, the Illinois State Medical Society and the Illinois Hospital Association already underway. The IPTA will also focus on making sure consumers know that physical therapy is not a generic term and should only be delivered by licensed physical therapists and physical therapist assistants working under supervision of a physical therapist. We haven't forgotten about fair co-pays for physical therapy and will be watching for opportunities to move that initiative forward, particularly as another way to fight the opioid battle. Consumers need to know about direct access and IPTA is launching a new digital campaign later this month. IPTA members will be able to customize a 30 second direct access commercial and purchase packages of runs on social media and television channels specific to their target markets. Future commercials that will launch in 2019 will focus on term protection and fitness/wellness. Along with APTA, the IPTA recognizes the need for cultural and racial diversity in health care and will promote careers in physical therapy within underrepresented populations. With access barriers lifted, physical therapists have the potential to provide pro bono services in new ways, helping to fulfill their ethical obligation to help meet the health needs of people who are economically disadvantaged, uninsured, and underinsured. With the support of the Illinois Physical Therapy Foundation, a group of members will explore ideas and ways to provide pro bono assistance to those in need. Could the use of diagnostic imaging improve physical therapist practice? Are physical therapists qualified to provide care to our four-legged friends? How will the role of PTs working in acute care settings evolve with direct access? How can physical therapists best utilize telehealth in practice? These are some of the discussions that will take place in the new year. 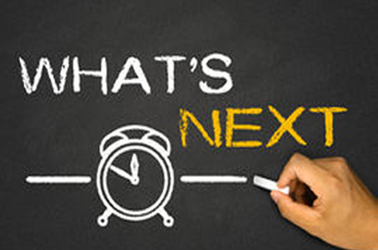 And one more peak into 2019: how will the IPTA evolve to remain relevant across the state and across the generations of PT professionals working in an ever changing health care environment? We can't wait to share the details with you in January!